CCIP | CCIE or Null! Passed QoS and got my CCIP! 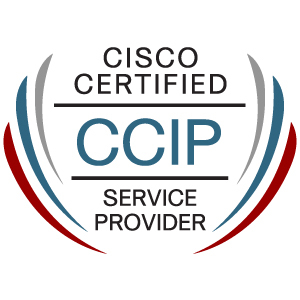 Well after 7 months of studying and 2 exams later I’ve finally obtained my CCIP! When I initially thought about going after my CCIP I said this shouldn’t be too bad after going through Routing TCP/IP Volume II, BGP Design & implementation, and half way through MPLS fundamentals (See my Library page on the left for links) I was really starting to feel it. I kept moving along and passed the 642-691 I got a little bit of hope and jumped right into QoS. The funny thing about QoS was I didn’t realize how much I really new about it, nor did realize how much more I could do with it. QoS certainly was an interesting topic to learn, and I am sure I’ll be learning even more about it as time goes on. Now that I’m done with my CCIP, I think I am going to take a small break from studying. I am going to focus back on my blog (So hopefully I will get some more updates out) and I am going to start building my own home lab for whenever I decide to start studying for my CCIE (not sure when but I will pursue that eventually). Not a bad way to start the new year right? Well I was finally able to sneak out of the office to go take the BGP+MPLS 642-691 exam earlier this week, something I have been trying to do for almost 2 weeks now. I really didn’t think finding the time to schedule the test was going to be the toughest part. The test took me an hour, and I passed so all my studying and work has paid off. I was honestly a bit disappointed with the test, it seemed a bit more one-sided to me and the simulations were less than challenging in my opinion. I’ve done much more complicated labs in GNS3 and at work that matter. So as I was going the exam I felt more and more confident and really over-prepared. I do suppose it’s better than the alternative and failing the exam so I won’t dwell on this any further I passed and I am one step closer (well two technically) to getting my CCIP certification. I’ll be jumping into QoS in hopes of taking this test by end of the year, and starting 2012 with my CCIP Certification!